Ballpark Estimate: Free for invited guests. When you think about high fashion, you probably think of Paris, France. This city is home to some of the best-known haute couture fashion houses and it is where many style trends are set. The women of Paris are also known for being beautifully dressed. In fact, many Parisians consider style an art form and this appreciation for fine clothing is an integral part of the culture there. Twice a year, fashion insiders from around the world come to Paris to view the upcoming lines from their favorite designer at Paris Fashion Week. This extravagant and exciting event also draws a large crowd of top buyers, fashionistas, celebrities and fashion journalists. Paris is the last stop on a four-city circuit of major Fashion Week shows that takes place in the span of about a month. The other locations on this whirlwind tour include New York City, London and Milan. 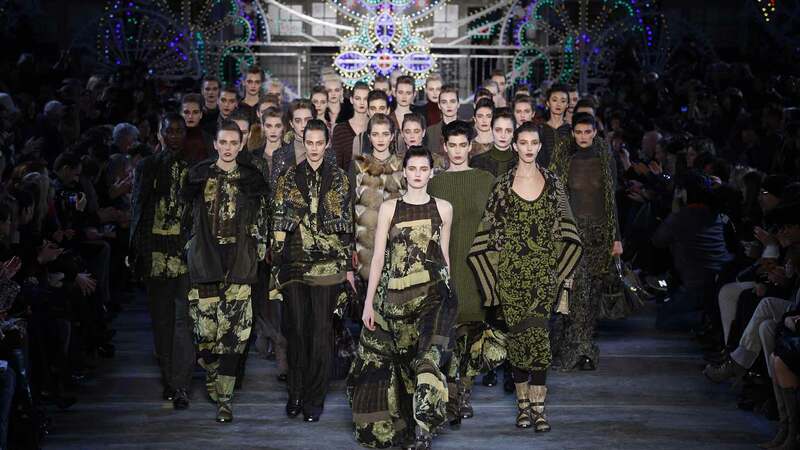 While all of these Fashion Weeks are truly important, Paris Fashion Week is seen by some as “the best of the best,” since this city is where fashion is truly born and as such, many of the most famous designers choose to show their work there. The designers’ shows in Paris are held at the Carrousel du Louvre, which is the bottom level of the Louvre museum and is a setting worthy of this elegant event. As many as 20 shows are held each day throughout the week-long event. Over the years, Paris Fashion Week has become known for its role in taking ready-to-wear or prêt-à-porter fashion to new heights and artistry, without losing touch with reality. To try to accomplish this precarious mix, many of the best known fashion designers provide creative exhibits on the runway (which is called le podium in France) that flaunt their creative visions in larger than life form. They then follow up by inviting buyers and the press back to the showrooms to view much more wearable versions of these items. And while places like New York and London have a strong commercial bent, in Paris there is more room for taking clothing styles in new and over-the-top directions. These high-end concepts are said to make an important contribution to the evolution of the fashion field. For instance, hem lengths, fabrics, colors and mood can all be established for the upcoming season even when the clothes aren’t made to translate well to real world wear. If you plan to attend Paris Fashion Week, you can expect to be “wowed” by what you will see there. Designers go to great lengths to put on theatrical displays that will live up to the expectations of the audience. Since most people who attend the best fashion shows expect the unexpected, this can take quite a great deal of planning and ingenuity not only to be able to pull of something totally new, but also to be able to do it quite successfully two times a year. Some of the well-known labels that you will see on le podium include Chanel, Louis Vuitton, Christian Dior, Jean Paul Gaultier, Balenciaga, Lanvin, Nina Ricci and many others. In addition, you will also find a host of other less-known or up-and-coming brands. It is not just the clothes presented during the designer shows that are designed to take away your breath with their cleverness. Some designers also incorporate unusual and eye catching props to draw the audience into their worlds. One noteworthy approach to this end was seen recently at the Chanel show, where a special Merry-Go-Round was created using Chanel jewelry, shoes, hats and other accessories in place of the horses. This unusual display had attendees talking about it long afterward. The fashion week shows are geared to professionals who work in the industry, such as buyers for major high-end stores and boutiques. Editors of top fashion magazines and other style writers and journalists are also often included on the guest list. In addition, the most well-known celebrities are usually very welcome guests. There is no charge to attend, except for whatever you spend on travel, accommodations and clothing to wear to the event. And if you don’t have an invitation, you won’t be able to buy one, as no tickets are sold for this event. So this is one time in life where money just won’t buy your way in. If you work in the fashion industry and hold a significant role in decision making or buying end, you may receive a personal invitation to attend some (or all) of the designer’s shows. If you are not automatically included on the guest lists, though, and there is a specific show or shows that interest you, can contact the public relations director handling the event and submit your request. Just keep in mind that seating is very limited, so it is very difficult to get in. If you work for the press, you can also get in touch with the press contact for the shows you want to attend. Again, though, you are not guaranteed entrance. Admittance to each show is up to the designer. Even some writers and editors who work for large, highly-respected publications are sometimes excluded from the major shows if the designer doesn’t have a strong relationship with them. If you aren’t a celebrity, don’t have any press credentials and don’t work in the fashion industry, but you still want to attend Paris Fashion Week in some capacity, there is one other option you can pursue: volunteering to help with the event. Extra hands can sometimes be needed to do some of the setup, backstage organization and seating arrangements, but you have to offer your services well in advance, as many people will have the same idea. Contact the organizers of the event to see how to submit your name for consideration. Finally, if all else fails and you don’t have a way in to see the collections, you may want to out on very best, most fashion forward clothes and stand outside the shows, especially if you are a student or a journalist. In Paris, if a designer’s show isn’t completely packed, students, press and other very well-dressed bystanders are invited in to fill up the room Of course your odds of getting in this way are much better at the less-known shows, and much less likely for the big name designers who draw a larger audience, but you just never know when you will get lucky. Occasionally VIPS also give out extra tickets to even the most popular shows to people standing outside who catch their attention. Just keep in mind that this practice is specific to the Paris shows, not all Fashion Week events. It happens on a smaller scale in NYC, while the shows in London and Milan are much more closed to uninvited guests.